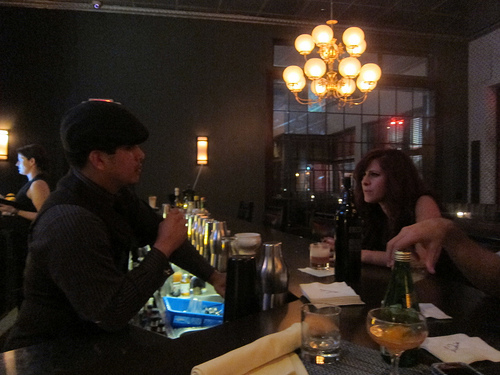 After checking out the nearby gin tasting at Hotel Juniper, I headed over to Sadie to see Marcos Tello guest bartending that night. The Staten Island called out my name immediately. 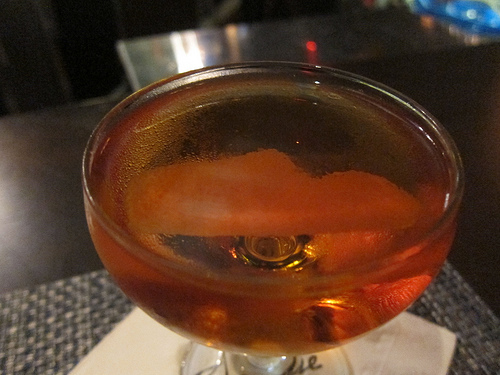 With barrel-aged Bols Genever, Galliano, Ramazotti, Carpano Antica this was strictly a stirred drink. And I loved it. Next I was intrigued by the Subway Rumbles (are you picking up the New York theme yet?). 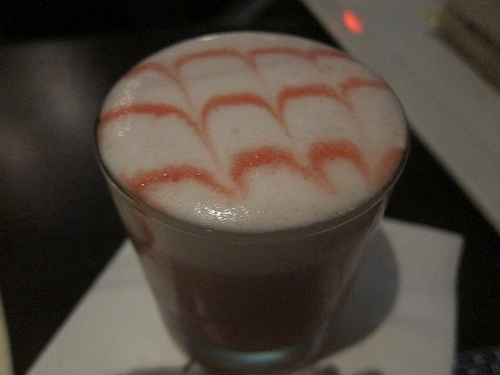 With Bols Genever, Chivas 12, pomegranate and egg white, this was a nice fizz to sip on while I enjoyed some snacks from Sadie including bone marrow. Did a bone luge happen. Possibly. Maybe? Okay, it did. 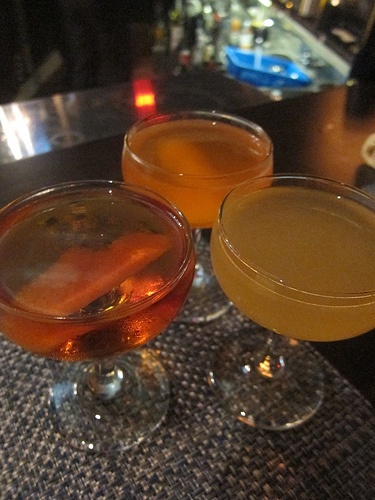 We couldn’t stay to try the rest of the cocktail list but I hope Marcos brings some of the drinks to one of his many spots around town including 1886. This entry was posted in bar stalker, bar stories, bars, bartenders, cocktails, events, hot bartenders, la, la cocktails, los angeles, the minty and tagged bols genever, giovanni martinez, guest bartender, guest bartending, hollywood, hot bartenders, marcos tello, sadie, stoli elit vodka, the minty, the parlour. Bookmark the permalink.